We were given a wonderful reception inside the Glaspalast on Saturday afternoon for my game against Shaun Narain. I had great memories of my win on this stage last September and Canadian prospect Shaun Narain a popular figure with the German crowd following his first round win yesterday. Shaun started superbly as he hit a 180 and tops for a 14-darter in the opening leg. I replyied in outstanding fashion with a maximum and a 132 finish for a 12-dart leg. Shaun scored 177 before finishing 65 on tops to move 2-1 up I nudged my average above 112 in the fourth leg with two 140s before taking out double eight to level. The Cat & Mouse continued with checkouts at contrasting ends of the scale – Narain’s 157 finish to lead 3-2 followed by double one from myself to level. I then hit a 180 and finished on 76 to break throw for the first time and move 4-3 up, but Shaun broke back immediately with a 60 checkout. We both took out double 12 finishes as the game moved into a deciding leg at 5-5. I was the first to a finish against the throw in the deciding leg, and despite Narain hitting a 180 to leave 42, I took out 124 on the bull to claim a superb win. After such a good start to my weekend I came up against a very inform Adrian Lewis who beat me 6-0 with (4 x 180’s, 75% checkout ratio and 116 average) he was on fire so that was the end of my European Darts Grand Prix in Sindelfingen. Congratulations to Mervyn King for winning the event defeating Michael Smith 6-5 in a very close final !!!! Back on the practice board now and looking forward to Crawley this coming weekend. 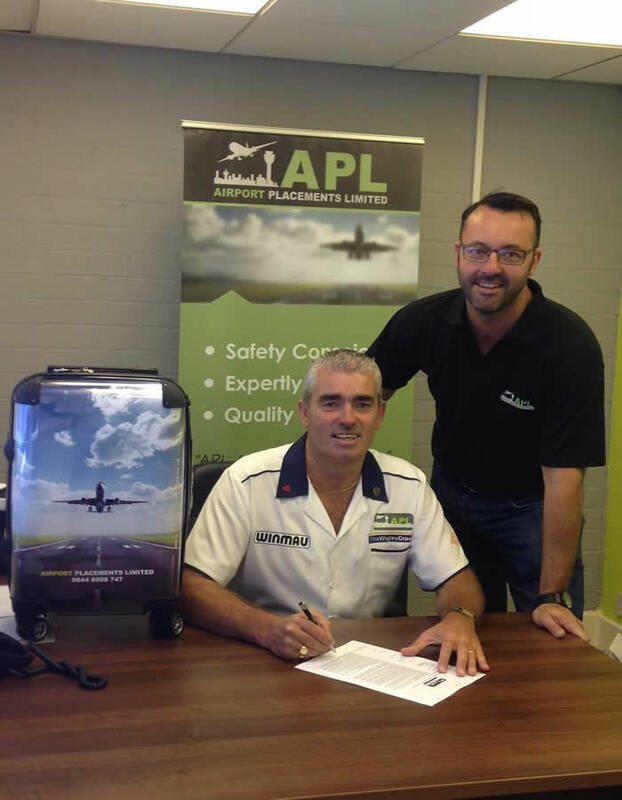 They are a recruitment agency created to deal with the demanding pressures surrounding staffing issues in and around the aviation industry. Airport Placements Limited work alongside some of the most respected names in the aviation industry, including Servisair, Swissport, Emirates, ASIG, and OCS at many airports including Manchester Airport, Birmingham Airport, Newcastle Airport, Nottingham East Midlands and Glasgow Airport and many more. I would like to take this opportunity to say Thank You To Winmau and The Wigley Group for their continued support and faith in me. Steve made the final of the Gibraltar Darts Trophy losing 6-4 to James Wade. Steve overcame Bristol’s Andy Parsons 6-3 Saturday afternoon to move through to the last 16 of the Gibraltar Darts Trophy to take on Johnny Haines. He then punished Johnny Haines for missed match darts in their 11-leg tussle to set up a quarter final match against Gary Anderson. Steve overcame some nervous moments as he edged past Gary Anderson 6-5 in an 11-leg thriller. He then took out 76 to win the opening leg and after Gary levelled, finished a 13-darter, double one and double eight to establish a 4-1 cushion, which Steve also extended to 5-3 only for Gary to hit two double five finishes to force a decider – as Steve missed his chance to claim victory in successive legs. The former World Champion held his nerve in the decider by scoring 139, 140 and 140 to be first to a finish, before posting double ten to finally seal his last four spot against Simon Whitlock. Beaton then produced a fine fightback to secure his place in the Gibraltar Darts Trophy final with a 6-4 defeat of Simon Whitlock. Whitlock hit a 180 as he took the opening leg, only for Beaton to finish 60, 96 and double nine to take a 3-1 lead, but the Australian edged the fifth, took out 121 on the bull in the sixth and traded 180s with his opponent before landing tops for a 4-3 cushion. Beaton finished 116 to level and tops to move back ahead, before punishing a missed bullseye from Whitlock in the next to remain on course for his second European Tour win inside 12 months. James Wade joined Beaton in the Gibraltar Darts Trophy final with a 6-2 win over Michael Smith. 1-0 – Beaton misses tops for a 160 finish but returns to land double ten to take the lead. 1-1 – Wade posts a maximum, and when Beaton misses two darts at tops to extend his cushion, the left-hander returns from his earlier two misses to level the game. 2-1 – Beaton finishes 99 on double 16 to move back in front. 3-1 – Beaton takes out double eight as he moves two legs clear. 4-1 – Wade misses two darts at tops, and Beaton hits the same bed as he extends his lead to three legs. 4-2 – Wade regains his range on tops to hit back. 4-3 – Wade hits back to within a leg with a superb 11-dart finish, hitting two 180s and finishing tops. 4-4 – Beaton misses two darts at doubles to regain his advantage, and Wade capitalises by finishing 76 on tops to level the game. 4-5 – Wade opens with a 180 and Beaton hits a 177 in reply, with the left-hander missing two darts for the leg only for Beaton to miss double 11 for a 142 finish, allowing the world number six back in on double ten to move ahead for the first time. 4-6 – Wade is first to a finish, initially missing his chance to claim the win before pinning double ten to seal his first tournament win since 2011. “I wasn’t quite sure if I could do it. Even though people said I could win more titles, it’s different actually doing it so I’m really happy. “I grew up watching Steve and other great players, and he said afterwards that he was pleased to see me winning again, which is a mark of the man. “I really enjoyed this weekend and at 4-1 down in the final I just wanted to relax and make a game of it. 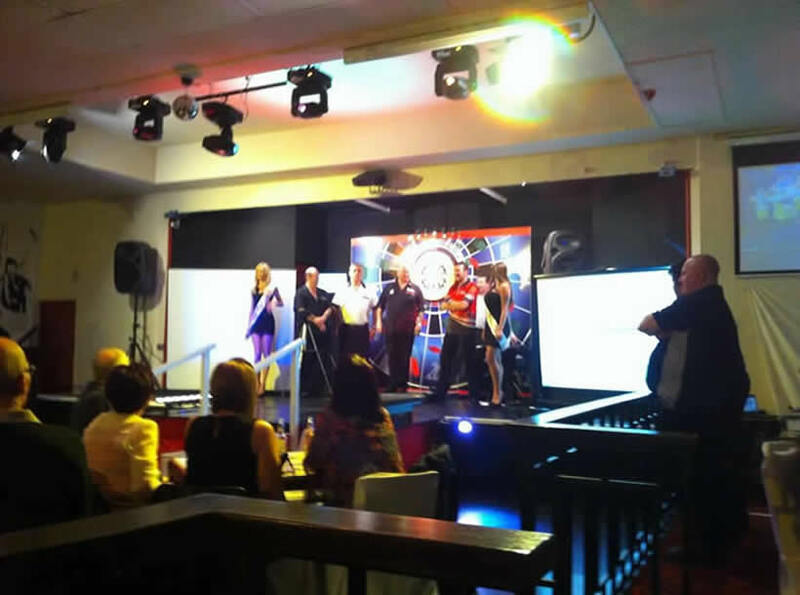 On 11 June 2014 The Wigley Group sponsored a Golf Competition and Gala Dinner in support of The Afghanistan Trust. Each competitor in the golf competition was paired with a sports celebrity for the match. A host of celebrities from the sports arena gave up their time and skills to make the day a success. 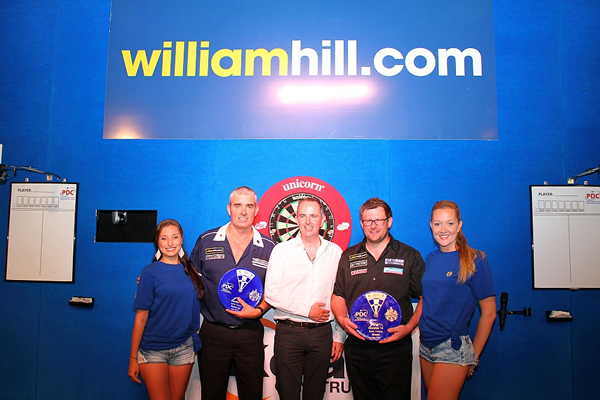 The celebrities came from a wide range of sports including, Darts, Boxing, Golf, Football, Snooker and Cricket. A big thank you to the Wigley Group, Rob Wigley and his daughter Katie and John McDonald who hosted the evening. Meaning over the last 2 years The Wigley Group have raised over £25,000 for the charity. What a fantastic result !!!! OFF FOR A SPIN !!!! 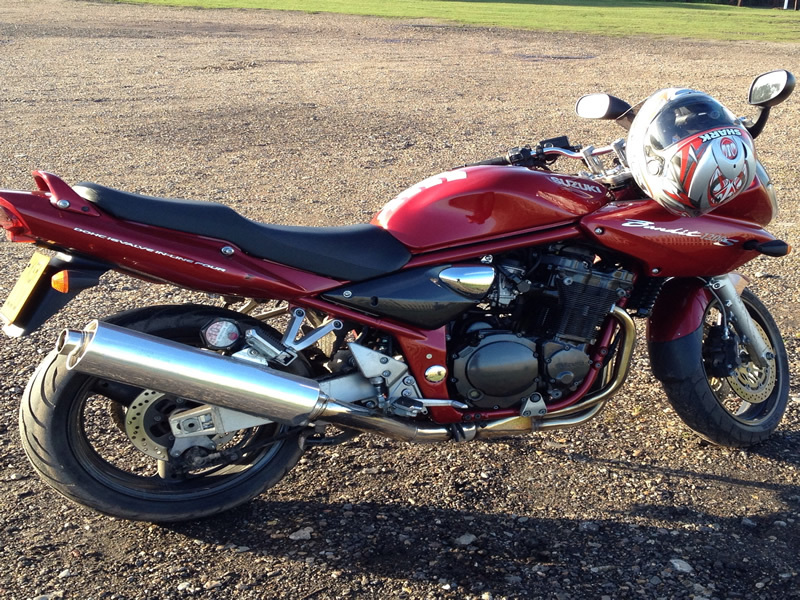 Off for a spin before I catch the train to Crawley for two pro tour events this weekend !!!! http://stevebeaton.co.uk/wp-content/uploads/2014/05/bikkie.jpg 600 800 steve http://stevebeaton.co.uk/wp-content/uploads/2015/10/newLogo.png steve2014-05-23 09:34:312014-05-23 09:34:31OFF FOR A SPIN !!!! I made the Quarter Finals in the third European tour of the year held at the Maritim Hotel Berlin in Germany over the Easter weekend. I defeated Steve Douglas 6-2 hitting 2 x 180’s and outshots of 120 and 92 to set up a last 16 spot against Wes Newton. I broke Wes’s throw immediately with a 107 finish and then scored 180, 140 and 165 to set up double eight for a ten darter to move two legs up. Wes replied with a 14 darter and the missed 3 darts to level in the fourth and I finished on double eight. Double 16 saw Wes cut the gap but I restored my cushion by taking out tops and then double 12 to lead 5-2. I then landed my second 180 of the game to leave 56 in the eighth leg and hit tops for a 14 darter to seal the deal averaging 99. I played Michael Van Gerwen in the Quarters and never really got in to the game losing 6-0 to the World Champion. Phil Taylor won the event defeating Michael Van Gerwen 6-4. I had a fantastic holiday in Tenerife with my beautiful wife Nanette to celebrate my 50th Birthday. Brilliant weather, great food and cold beer what more could I ask for. Thank you for all my birthday wishes but with so many I couldn’t personally reply to all of them. 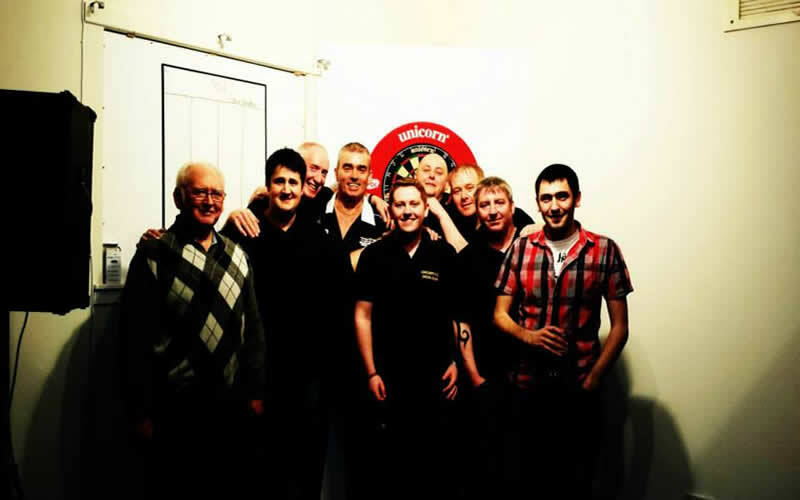 BIG THANK YOU TO EVERYONE WHO CAME TO THE DARTS NIGHT ON FRIDAY, IT WAS A HUGE SUCCESS. THANK YOU TO THE PLAYERS WHO PUT ON A GREAT SHOW AND WALK ON GIRLS. LOOKING FORWARD TO THE NEXT ONE.